More than 65 percent of women age 40 and over received a mammogram in the past two years. But there is growing evidence that the screenings only modestly prevent breast cancer deaths while exposing women to a number of potential harms. To better understand why patients get screened, a School of Public Health study recently surveyed a group of women on their awareness of mammography’s benefits and harms. The study found evidence that patients are not fully informed and their decision to be screened is being influenced by a lack of comprehensive information on all aspects of the test. The study, authored by PhD student Jiani Yu and Associate Professor Sarah Gollust, was published in JAMA Internal Medicine. “We found that the risks and harms are not being adequately communicated to women,” says Yu, the study’s lead author. Mammography’s potential risks and harms include the expense of paying for unnecessary tests and procedures, as well as the treatment of cancers that are too slow growing to cause health issues within someone’s lifetime. The study showed, for example, that only 26 percent of women were aware of the risk of overdiagnosis, yet, up to nearly 75 percent of women who had a recent mammogram rated the test’s benefits, such as early cancer detection, as most important. Yu said providers should be aware of the problem because they are the first point of contact for women undergoing screening, and as previous studies have shown, are not sufficiently communicating the harms and risks associated with mammography. She also said that patient advocacy groups should take notice of the findings so that they can ensure that they’re providing balanced information to women. Yu emphasized that patients need to be given clear education materials that break the scientific information down to provide the simple, practical meaning of data, benefits, and risks. The study is part of a larger research project that Yu, Gollust and colleagues are conducting examining how conflicting information about cancer screening affects patient attitudes about scientific evidence and screening guidelines. In particular, the project is focusing on examining how conflicting information conveyed through the news media relates to patient perceptions about clinical evidence. 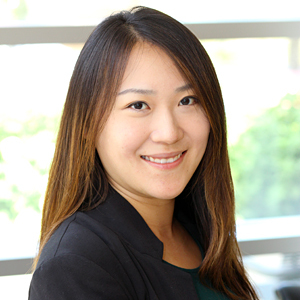 Yu is a student in the Health Services Research, Policy & Administration program and is co-advised by Professor Jean Abraham and Assistant Professor Peter Huckfeldt.